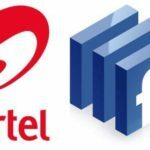 Just like Airtel, MTN allows customers who have no data bundle to browse their favorite social network, Facebook. However, MTN Quick Facebook offers interesting features at a very low subscription charge. It allows you to access Facebook on any kind of phone, whether internet capable or not. You can only subscribe for MTN Quick Facebook through USSD. This service cannot be accessed via SMS. In fact, every activity on MTN Quick Facebook is accessed through USSD. To subscribe/access Quick Facebook, simply dial *510#. Once you dial the USSD, MTN will prompt you to choose the Quick Facebook plan you want. MTN Quick Facebook has three plans namely: Daily, Weekly, and Monthly plans. The daily plan costs N10 and is valid for 1 day. 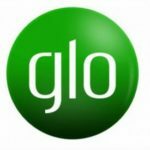 The weekly plan costs N40 and has a validity of 7 days while the monthly plan costs N150 and valid for 30 days. 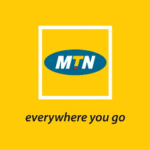 Currently, MTN is offering 50% off on these plans. Thus, you will be charged N5 for the daily plan, N20 for weekly and N75 for the monthly plan. However, the plans will be renewed at the normal rates. As pointed out above, MTN Quick Facebook can be accessed and used via USSD only. Once you subscribe, you can pop up the Quick Facebook menu by dialing *510#. For your first access, Quick Facebook will prompt you to submit your Facebook username and password and agree with the subscription charges. However, these prompts will not come up once you are logged in. MTN Quick Facebook allows you to access your Facebook online chats, news feeds, check-ins, birthdays, status jugglers, page likes, messages, and so forth. In other words, you can perform real Facebook activities via Quick Facebook, all through USSD. Unsubscribing or opting out of MTN Quick Facebook is also super-easy. You can simply dial *510*22# to opt out of Quick Facebook. This also cancels the Quick Facebook automatic renewal activated by default. You can also opt out by dialing *510# and select * to access your Account Settings. From the Account Settings, you can opt out of Quick Facebook, access your notification settings or even log out of the service. Obviously, MTN Quick Facebook has pros and cons. The service allows anyone to access his Facebook account easily. Provided you can access MTN services, you can stay connected on Facebook via Quick Facebook. In addition, your phone’s capability will not be a hindrance to accessing Facebook. Furthermore, MTN Quick Facebook is very affordable; no internet or usage charge is involved. With as low as N10, you can access Facebook a whole day and you can access Facebook a whole week at merely N40. However, with MTN Quick Facebook, you can only access Facebook via USSD. This strips the social network of its colorful, lively and awesome interface and presents a dull interface.